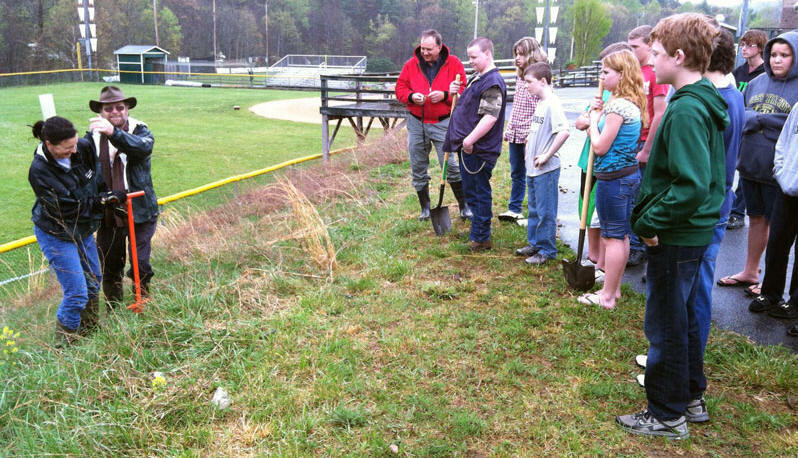 East Hardy Middle School was the recipient of a WV Project CommuniTree kit to plant 12 large shade trees and an assortment of bare root stock that included oaks, maples, poplars, sycamores, and gums. 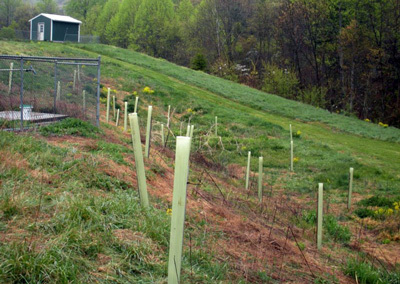 Danny Dewhurst, FFA Teacher, completed the application and organized the project. 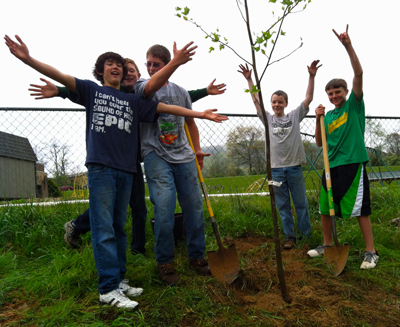 The students learned how to properly plant a tree and the benefits of planting trees to increase urban tree canopy. 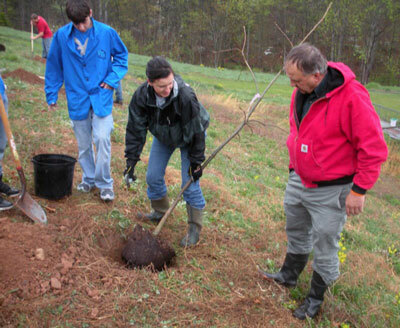 Mr. Dewhurst and his students were assisted by CommuniTree Representative Melissa Merritt from the Potomac Valley Conservation District and Carla Hardy from the WV Conservation Agency (Carla is in the picture at left demonstrating how to prepare a root ball for planting, with Danny Dewhurst). The 12 shade trees are currently providing the playground with shade. 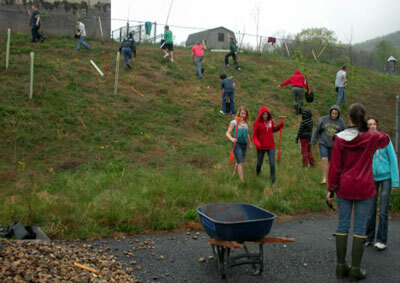 They will continue to grow and increasingly reduce stormwater runoff from impervious surfaces on the school grounds and grow the school’s urban tree canopy. Carla Hardy and CI's Neil Gillies leading a planting demonstration. 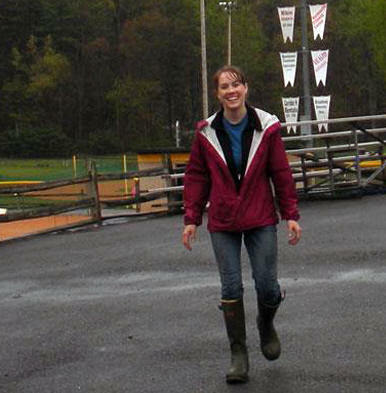 Melissa Merritt surveying the hill. 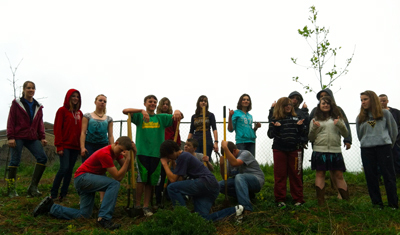 Group photo of happy planters!